Since we are limiting ourselves to two backpacks, the clothing choices we make are very important. 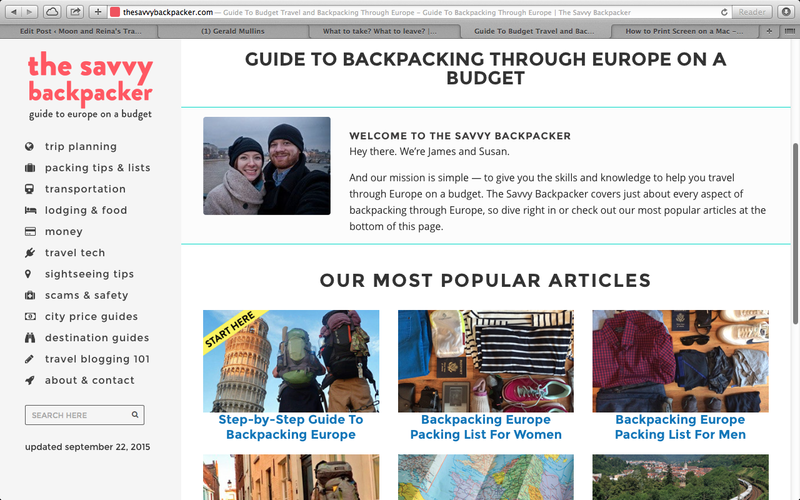 When I was researching what to take, I found the website The Savvy Backpacker. Tons of resources here to help you travel in a backpack. Since clothing weighs the most in your backpack, I spent some time thinking about how little to take. I have to admit I usually take too much when I travel. Reina actually takes about the right amount. This time however, I think we’ll both be put to the test. To put everything into one backpack is going to be a challenge. The key to packing for an extended trip overseas is being able to plan on either wearing things more than once, washing them in the sink or washing clothes at a laundromat. We don’t really want to be taking time off of the trip to hang out in a laundromat so we are going to take stain resistant clothing and clothes that were meant to be washed in the sink. Exofficio makes a lot of clothing that fits this description. Cotton is not real conducive to weighing less and drying quickly. Most of the clothing we’ve bought is some form of polyester. For this trip, something that complicates matters is the fact that we’re going from cold weather in Europe to hot and humid in Brazil. That will be a few more shirts, shorts and cooler clothing in the backpack. Posted in World TravelTagged brazil, cruising, europe, overseas travel, travel clothing, World TravelBookmark the permalink.